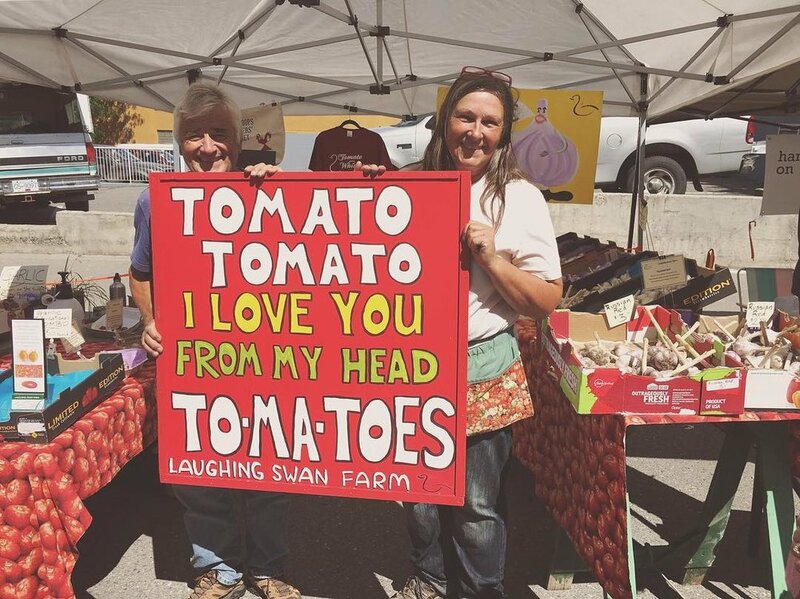 If you know me, you know I love the Kamloops farmers' market. Every Saturday feels like a little holiday. 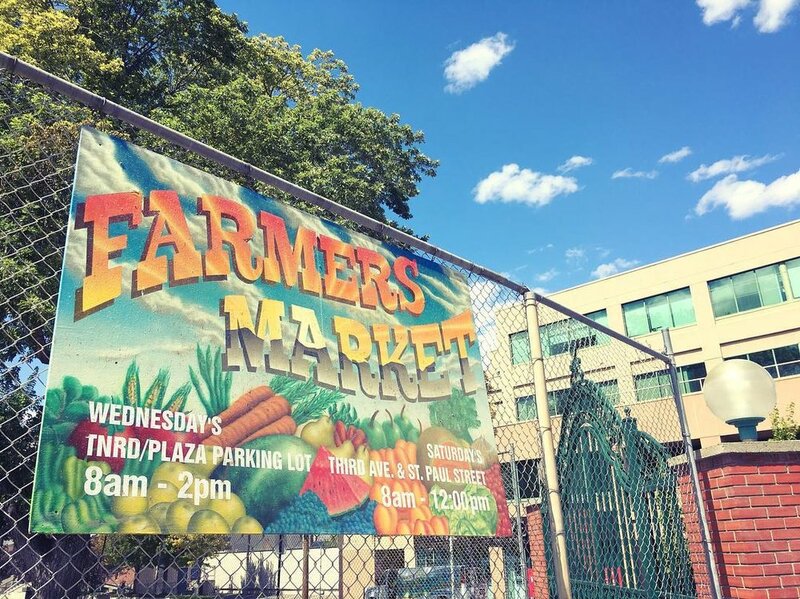 We head downtown, pick up the freshest, most beautiful produce you've ever seen and then spend some time walking around downtown either shopping Victoria Street or walking in Riverside Park. Over the past two years since moving here we have gravitated to a few different vendors at the market and I wanted to introduce them to you. Three vendors graciously agreed to answer a few questions for me this time, and I am hoping for a chance to interview a few more before the season is over. I thought I had come up with some pretty boring - albiet open ended - questions, but I was really surprised by the variety of answers I received. These three are special to us - we make sure to stop by every time we are at the market - and the more we talked the more I realized why we keep coming back. What is your favourite thing to grow? Berries. Raspberries and strawberries. I like growing them because they are unique. They are special and delicate. Not everyone can grow them. Why did you decide to farm? We have a passion for growing. My husband likes to grow, and I like to sell. Harvesting is so wonderful - it is so amazing to plant and then later to pull up a potato. It is such a great process, to grow. Why are markets like this so important? We are able to sell to local people, and then the local people get the freshest stuff. This way the money also stays in the community. I am an experimenter. I love challenges and learning things. I love to push the envelope to see what I can grow. 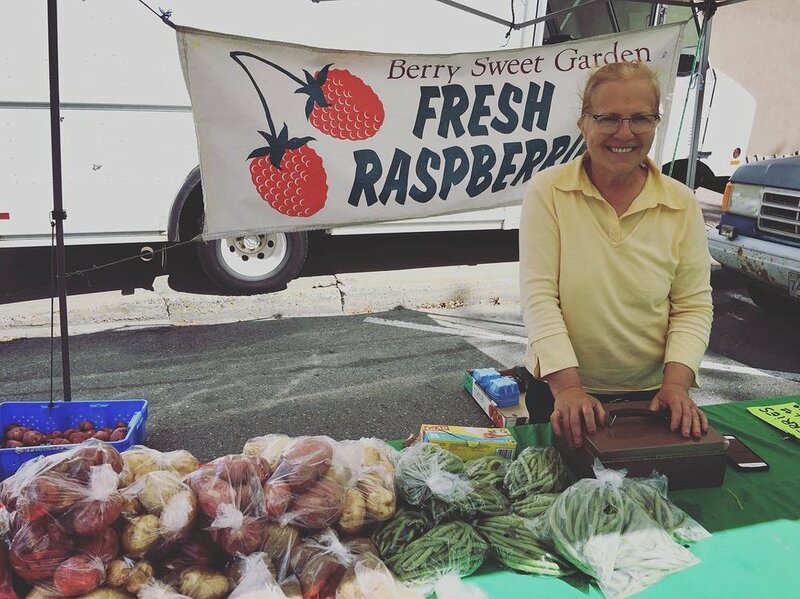 We'll have strawberries here at the market until October. I've tried ginger root, sweet potatoes, and peanuts - all will grow here but it takes work. I tried sugar cane, but that didn't work. Light isn't an issue here. In Kamloops we have the same amount of light in the spring as the equator but the problem is heat. For me the growing year starts in February and I have things growing year round. I've been gardening since I was 12 years old. I have an attachment to nature - you have to pay attention. I love the wild, but I love to be able to participate. Generating abundant food is a wonderful gift but you have to be aware - we're not the master. We think we are too smart and sometimes we mess it up. I am very interested in permaculture and housing. There should be a smoother blend, a transition into nature. Humans shouldn't stand separate from nature - we are a part of it! Local food. The structure of industrialized food is incredible, but the distance from people is a problem. The focus on cheapness causes the consumer to suffer. Health is integrated into that as well, and if you don't have health what do you have? Tomatoes! We have 110 varieties. My favourite are the black tomatoes. They are rich and complicated. The way some people feel about wines is how I feel about tomatoes (Shirley). Afghan Rumi is a favourite as well as Purple Calabash. I like the orange and red ones (Ken). My family have always been farmers. Where my family comes from - the Black Sea - if you didn't save your seed you didn't eat. Knowing what you are eating and that it is fresh is important so you are not held hostage by the grocery store. 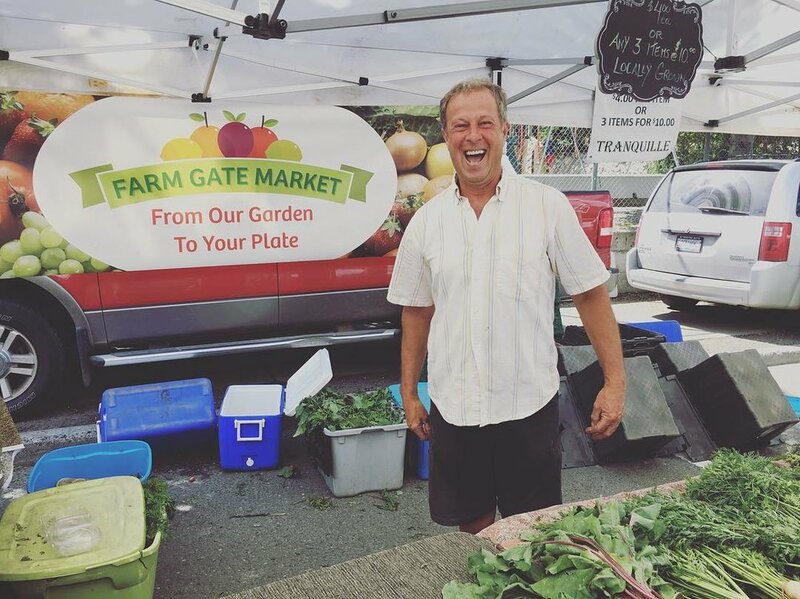 I like to say 'There is nothing more local than growing your own, and the second best is the Farmers' Market'! One on one connection with the consumers, and the potential for education. It's all about teaching people. When they come here sometimes they get a botany lesson. My goal is to change peoples' lives and to inspire them.